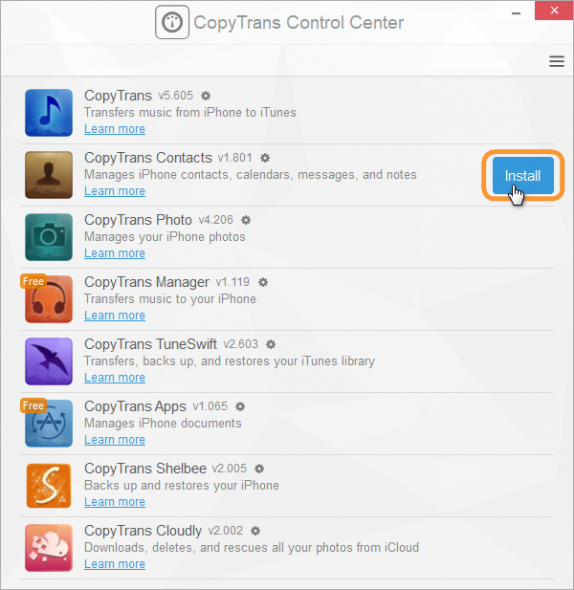 This guide explains how to download and safely install all CopyTrans software on your PC. The installation takes less than 2 minutes after which you can start using the programs. 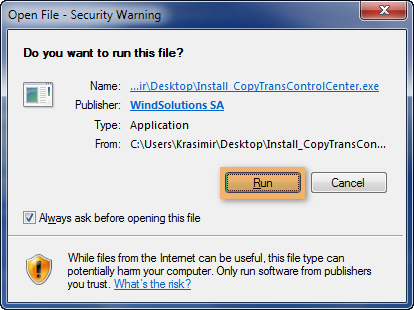 Start by downloading the CopyTrans Control Center Installer. If the following message shows up, click “Run”. Check the box to confirm that you accept the license agreement and click on “Install” when you are ready to install. The installer needs an internet connection. Click “Test connection”. If prompted authorize internet access. If you access the Internet through a proxy (typically in a work environment), configure proxy. 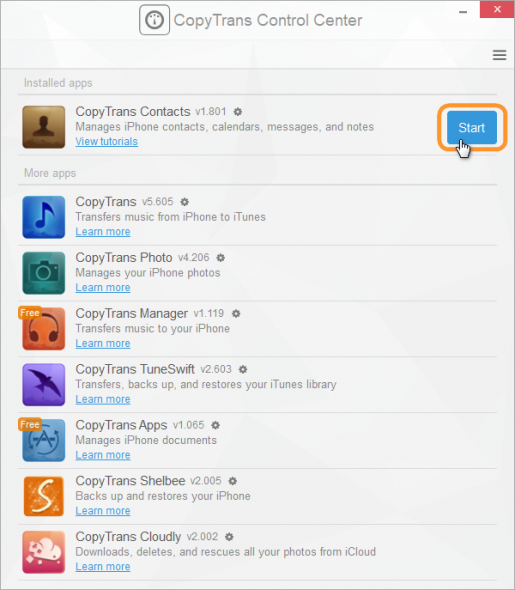 CopyTrans Control Center opens and lists all CopyTrans programs. Mouse-over the program of your choice and click “Install”. Once installed, mouse-over the app entry and click “Start” to run the program.